Our lead acid line consists of several types of batteries. Having produced absorbed glass mat (AGM) batteries since the late 1960s, EaglePicher expanded its line to include Deep Cycle batteries. Each battery design offers unique characteristics to accommodate the needs of SLA users today. 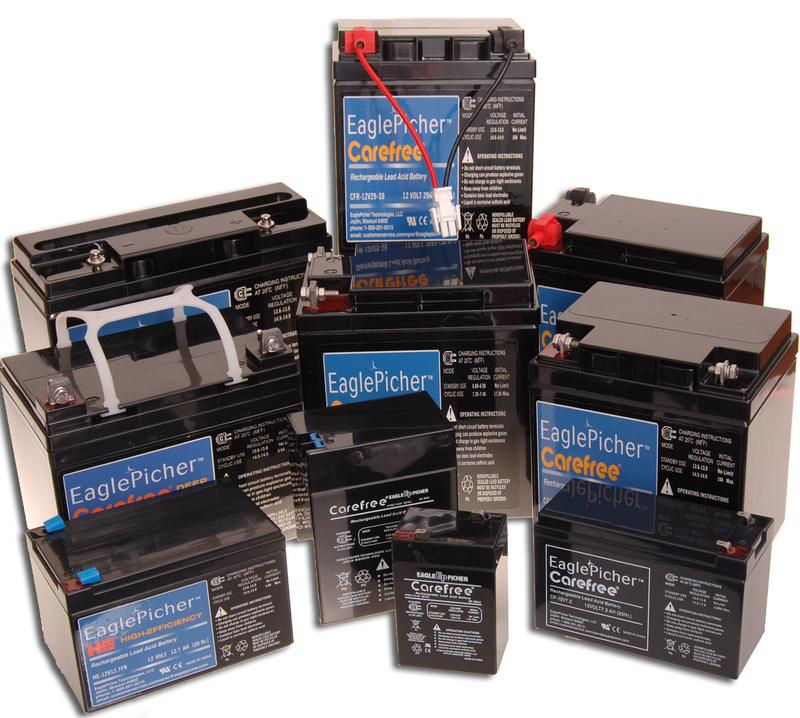 With the wide range of sizes and power we offer, EaglePicher batteries can be found around the globe. For instance, our AGM batteries are most efficiently used in float applications, such as emergency lighting and telecommunications back-up while our Deep Cycle batteries are best suited to cyclic applications, such as wheelchairs and solar power. Our lead acid batteries are also found in military applications, high-reliability data storage backup systems, and electric fence chargers. EaglePicher Carefree® cells and batteries include a wide range of chemistries to meet today’s expanding requirements for rechargeable battery power. The Carefree® line includes Valve Regulated Lead Acid (VRLA), Nickel Cadmium (Ni-Cd), Nickel Metal Hydride (Ni-MH) and Lithium-Ion (Li-Ion). Each of these chemistries is designed to give long life with no maintenance for many years. Visit our Where to Buy page for more info.